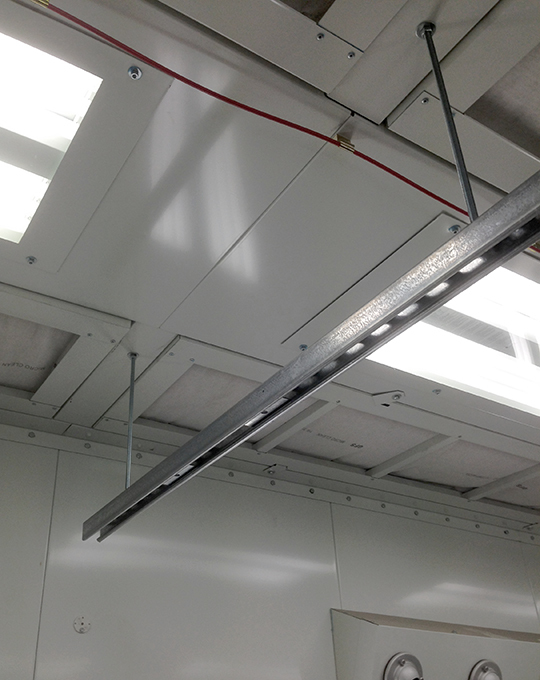 Replacing exhaust filters in a downdraft paint booth is easy with GFS’ exclusive grate lifting tool. This handy tool does the heavy lifting for you, picking up exhaust pit grates so you can quickly change filters without straining your back or pinching your fingers between grates. 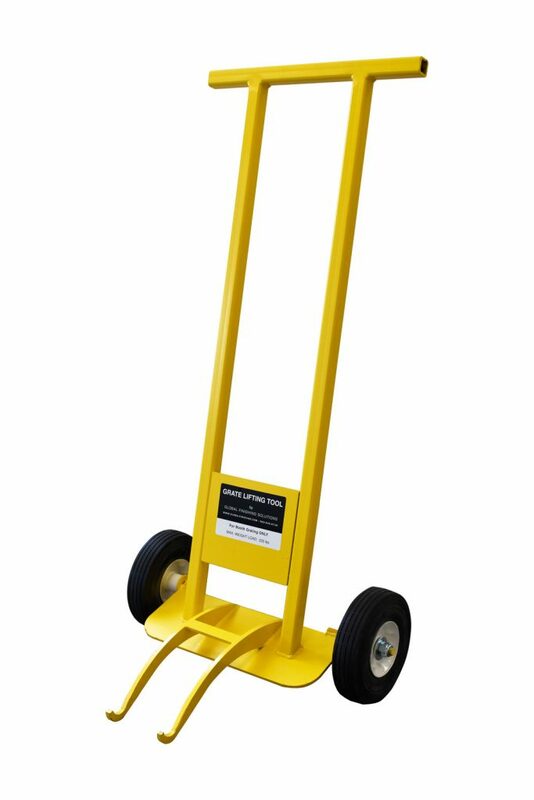 Made from sturdy metal, GFS’ grate lifting tool can hold a maximum weight load of 260 pounds. The flexible paint booth parts hanger system from GFS enables you to maximize productivity in your paint booth. Sturdy construction ensures parts stay put for easy spraying, and adjustable racks make positioning parts a snap. 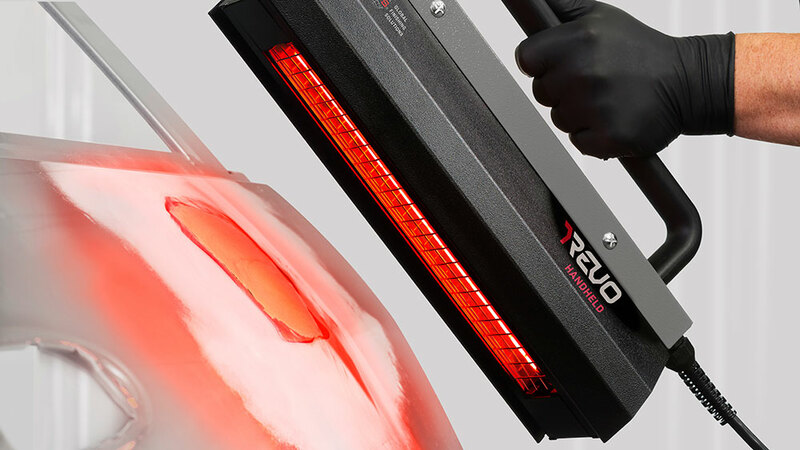 Easily access premixed paint and other supplies from inside your paint booth with a rotating turntable that connects to your mix room. 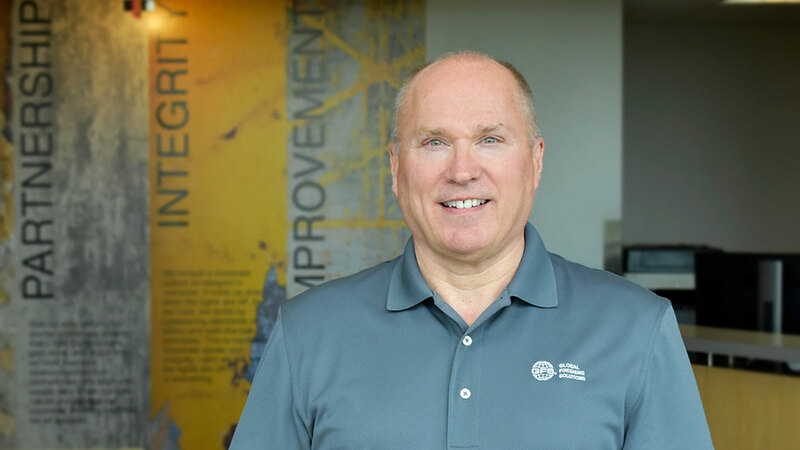 A technician can be mixing paint or preparing supplies at the same time another technician is spraying, increasing productivity and throughput, while keeping your booth free of clutter and debris. The BoothBox 2 is a magnetic, double-compartment cabinet and double spray gun holder, designed for the interior of paint booths. With the BoothBox 2, you can store commonly used supplies — tape, gloves, tack cloth — within arm’s reach, enabling you to increase productivity while eliminating time-consuming trips in and out of the booth. 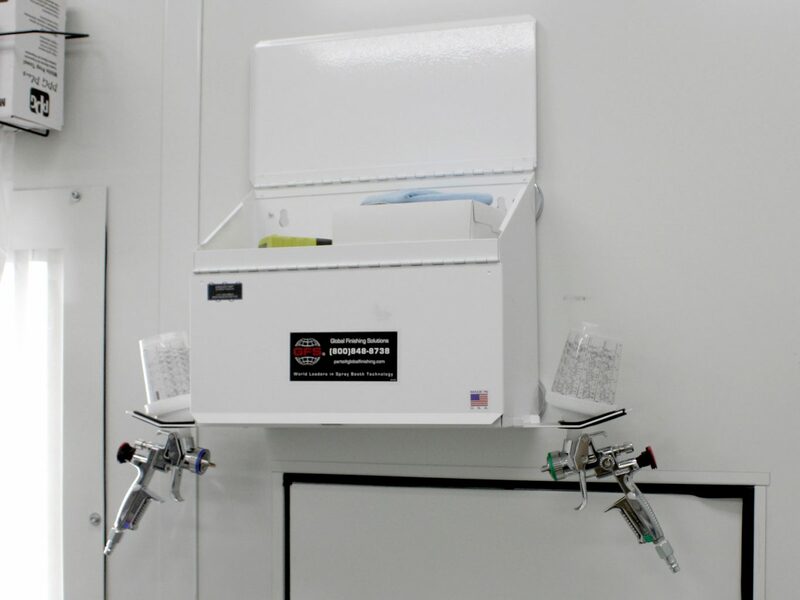 The BoothBox Mini is a magnetic, single-compartment cabinet and double spray gun holder, designed for the interior of paint booths. With the BoothBox Mini, you can keep commonly used supplies — tape, gloves, tack cloth — close at hand, enabling you to increase productivity while eliminating time-consuming trips in and out of the booth. 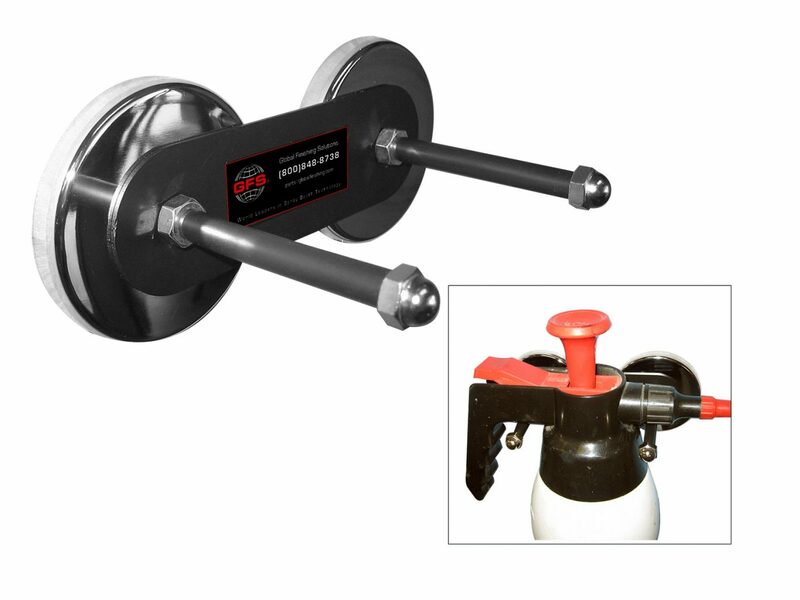 The 4 GunHanger is a magnetic, four-position spray gun holder for paint booths, prep areas or mix rooms. It’s equipped with a hook for storing spray guns, tape and other supplies, allowing you to avoid clutter and keep objects off the floor. 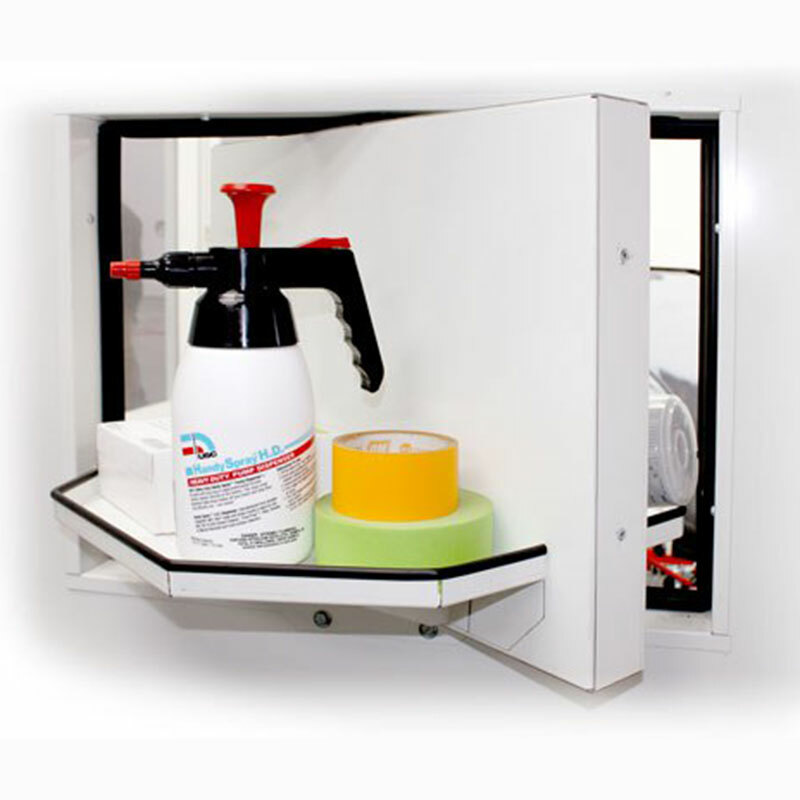 The Booth Shelf WM is a combination of a magnetic, three-position spray gun holder and a vented working shelf. 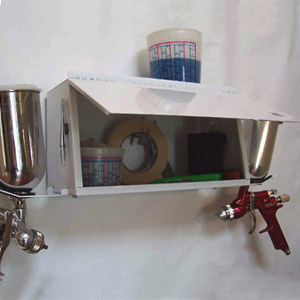 It can be used in a paint booth, prep area or mix room to hold spray guns, tape, tack cloth and other supplies. 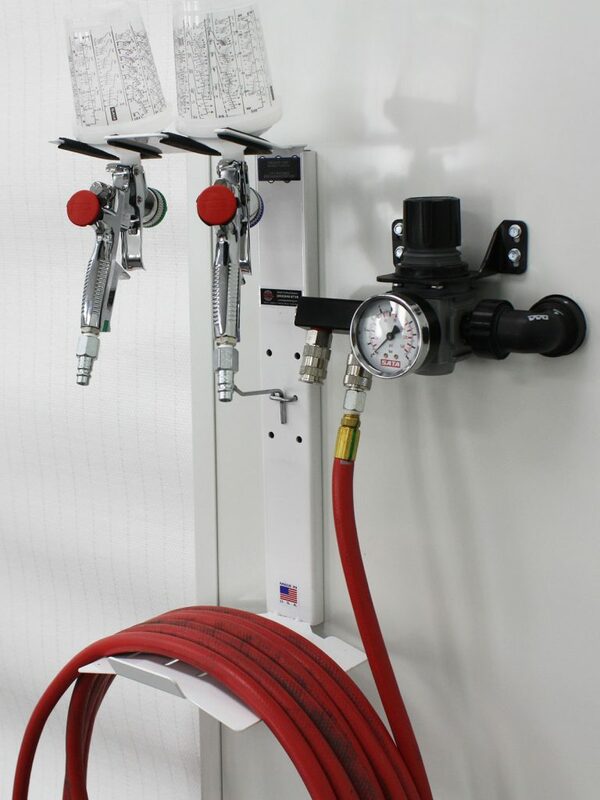 The Hose & GunHanger is a double spray gun holder and air hose hanger, designed for paint booths, prep areas or mix rooms. It comes equipped with a hook for storing tape or other supplies. 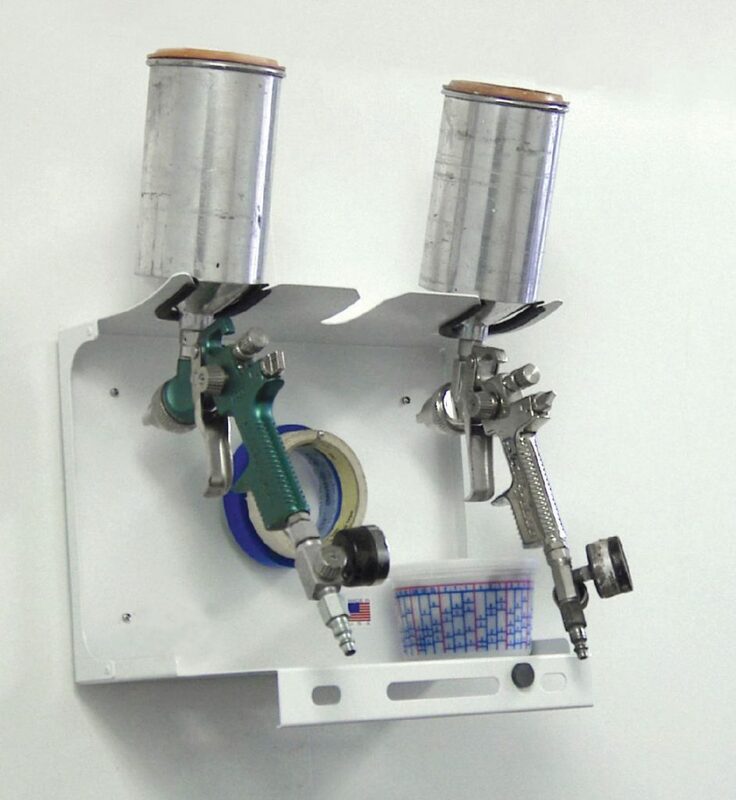 The Single GunHanger is a magnetic spray gun holder designed to hold all types of spray guns and most types of air tools. 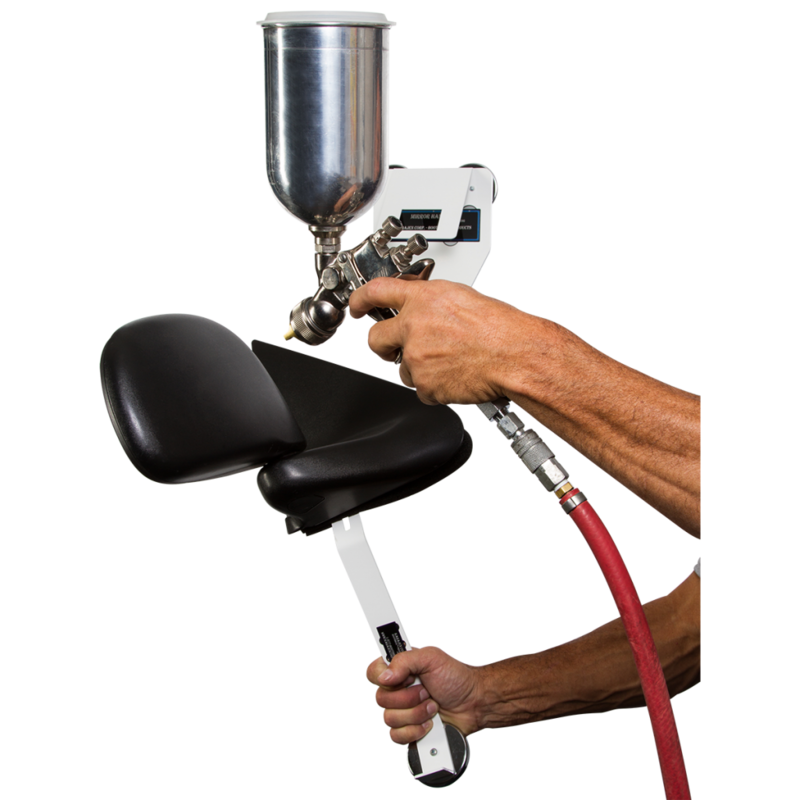 A soft edge guard eliminates scratching of the spray gun or gun cup. 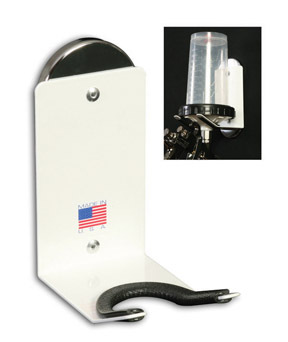 The Pump Bottle Holder is a double magnetic hook, sized for common degreaser bottles. It’s designed for paint booths or prep areas so that bottles are easily accessible, as well as for hanging spray guns and pneumatic tools. Simplify your test panel process with the Test Panel Holder. Simply attach paper or metal test panels, then hold and spray. For flash and dry times or everyday storage, place the Test Panel Holder on the wall of a paint booth — or other sheet metal surface — by its magnets. 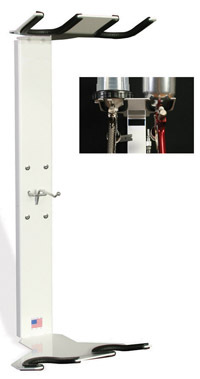 The Mirror Hanger is a two-part system for holding all sizes of mirrors and other parts for painting, eliminating the need to hang wires in a paint booth. 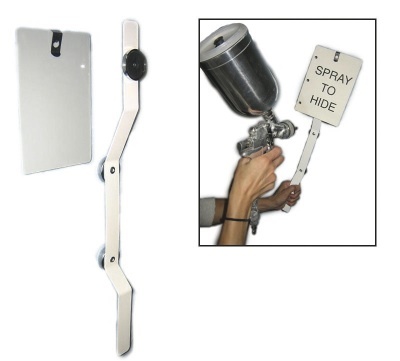 Just attach the mirror to the holding handle, lift the handle from the powerful, magnetic base and spray; then place the handle back on the base while your paint dries. The Magahook holds a variety of objects to metal surfaces, such as paint booth walls, parts caddies, lockers, toolboxes, warehouse racking, refrigerators and more. 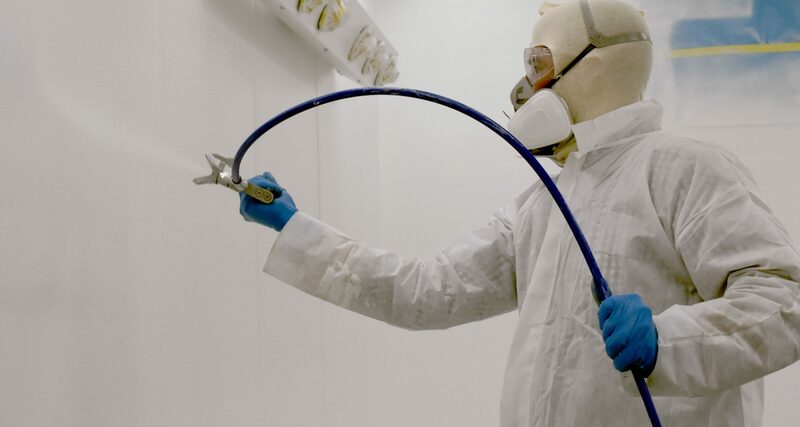 Want to learn more about pAINT BOOTH accessories?